Finding a career that makes you happy and provides you with enough pay so that all the ends meet isn’t always an easy task. People search for years to find that combination. Some people never find it. If you’ve considered trucking as a career, now is the perfect time because the trucking industry is looking for qualified drivers. 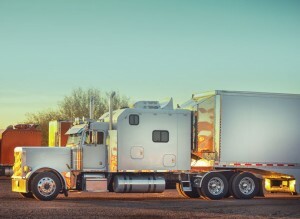 Before you can start your career driving trucks, you need to pass your commercial drivers license (CDL) test. Maybe you’ve gone through college and found out after graduating that you can’t find gainful employment? Maybe you don’t want to take another test ever again. There are many good reasons to go after that CDL. Whatever you invest in your CDL will come back to you many fold. First off, once you have your CDL, you’re a candidate for approximately 30,000 truck-driving jobs that are open at the moment. That number is expected to double in a couple of years, so job stability is almost a certainty into the foreseeable future. Did you know that of the revenue gained through transportation, trucking accounts for more than 80 percent? That number is also expected to increase in the next few years. If it’s stability you want, trucking is where it is. With your CDL you can step into a job that pays more than what most college graduates will make in their first job out of college. Better yet, the potential to advance to higher wages is also a reality of the business. Get some experience behind you and you’ll be moving up the pay scale rather quickly. For instance, you can stay on the road and earn more or you can jump into a corporate position as an instructor or a dispatcher. How many people do you know who get paid to travel? This is one of the greatest appeals for truckers in their decision to go this route. You break free from the cubicle, get out into the world and experience a work environment that only truckers are privileged to experience. There is a feeling of freedom on the road, even though you’re working. You don’t have daily meetings to attend or a boss looking over your shoulder or an annoying co-worker. It’s just you, your truck and the beautiful scenery – and the paycheck you earn in your new career. If you want to drive one of the most powerful machines on the road, you need your CDL and a good driving record. Some trucking companies are in such need of drivers that they’re wiling to send you off to schools where you can learn the tricks of the trade and learn everything you need to know to get their CDL. If the long trips aren’t your speed, but you still want to experience being a trucker, you have an option with Spirit Miller Driveaway Services. At Spirit Miller, we’ve got an abundance of routes that will get you home for dinner every evening. We work seven days a week, 24 hours a day, so you’ll have your choice of shifts. Don’t wait any longer – get your CDL and start your trucking career today at Spirit Miller.